The Manchester TED Talk discussion group connects TED fans who want to turn the inspiration of TED Talks into positive action. On the 15th January, we focused on the power of our purchases where our founder, Duncan, was the guest speaker at the event! It was a thoroughly enjoyable evening, hosted by The Federation, with a great turn out and some riveting discussion! Below you can find a link to the talk discussed by the group in part 1 from Patrick Grant. We also discussed the importance of supporting your local community by choosing local businesses in place of larger corporations that have ethical dilemmas. It was also discussed that we live in an age of unlimited information, meaning we can trace the source of almost all the products we buy and see what effect they have on the environment and society. 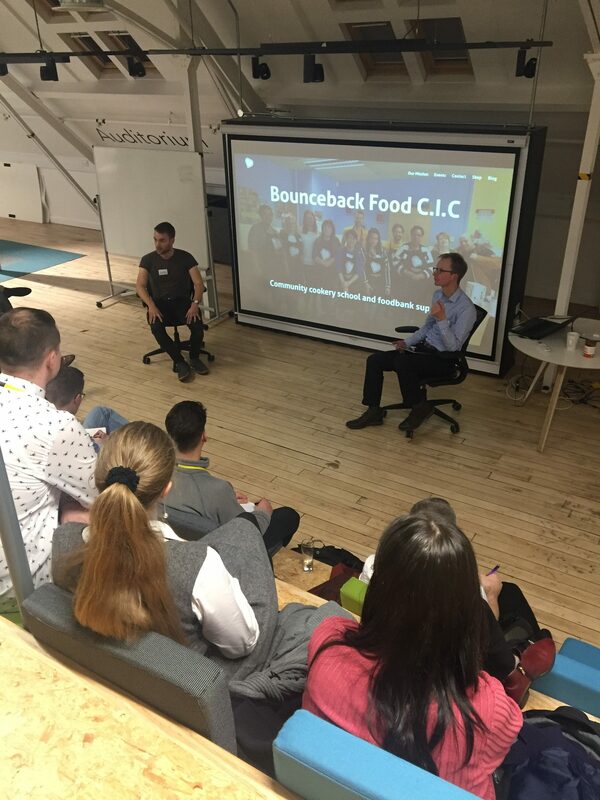 That is why at Bounceback we operate the ‘buy one, give one’ model which enables people to give back to the community through their purchase of our food products and cookery courses.